Sticking to tender plants means starting over every year. Mostly. Some selections turned out to be hardier than expected. A few varieties return from seed every year too. Everything else is a carefully selected impulse purhcases from nearby garden centers made over several months early in the season. This time of year, I pop in every few days in search of new additions. Stock at popular garden centers turns over fast. 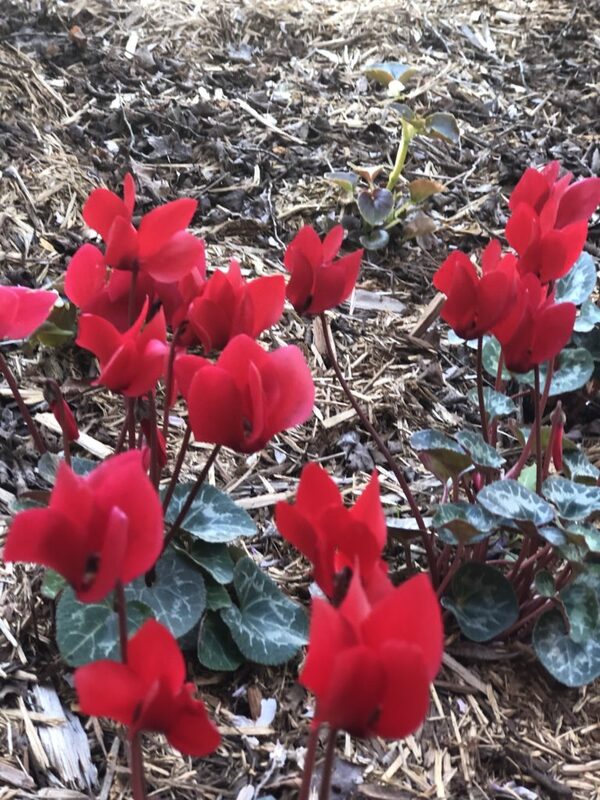 I picked up some gorgeous red cyclamens a few weeks ago. The next day I went back for more and they were gone — along with almost everything else I’d seen the day before. 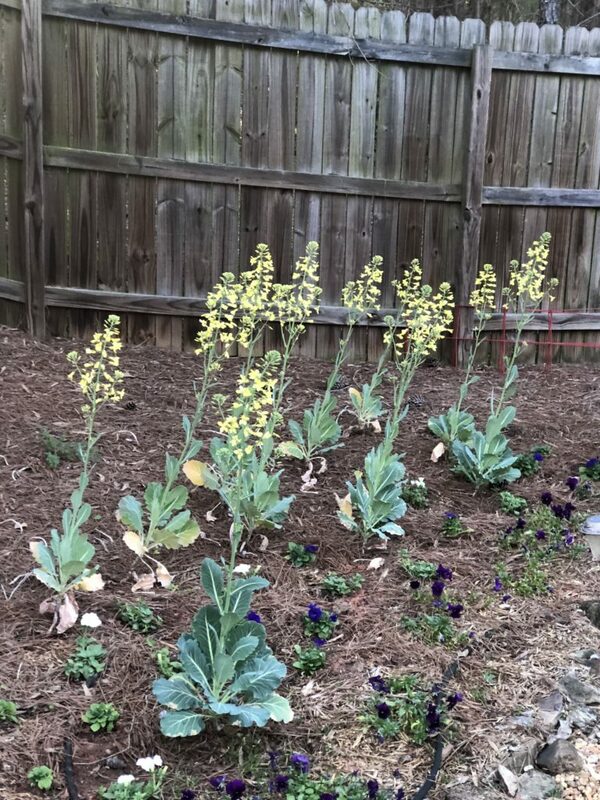 Bedding plants are big favorites — especially in mass plantings. I look for good deals on healthy plants that will thrive where I intend to plant them. The younger the plants are, the better. Even a few days in a six-pack can permanently stunt growth. Experience helps. Over the years, I’ve at least tried to grow just about everything. Rarely do I shop for a particular plant. I’m far more likely to look for something that will thrive in a specific part of the garden. 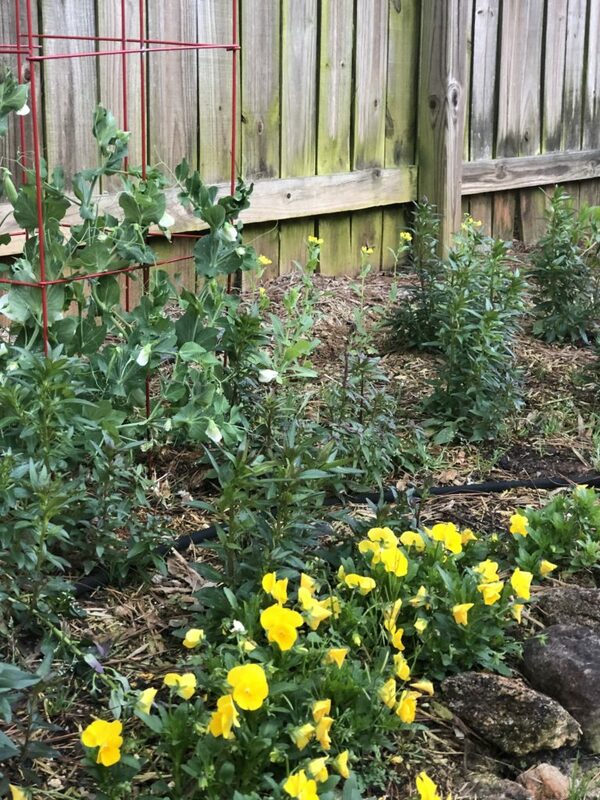 Three of my favorites dominate the early spring garden this year: snapdragons, pansies, and petunias. Only the snapdragons are likely to make it through June. Pansies can’t take the heat. There are heat-loving petunias, but the varieites I’ve planted will peter out in June. Over the next few weeks, I’ll be looking for heat-loving varieties to take their place. Come July, the garden will look completely different than now. You know I’ll keep you posted. I’ve always loved your garden photos and posts! Makes me want to start digging in the dirt! Thank you! Should be getting warm enough up your way to start soon. Love you!